Why choose Coastwide Family Day Care? Coastwide Family Day Care has a reputation for providing safe, secure, high quality home based child care. Supported by early childhood professionals, qualified, experienced and dedicated Family Day Care Educators provide a flexible and affordable education and care service for families across the Central Coast, Hunter New England, North Coast and Western NSW regions. With 35 years of experience and a passion to deliver a child focused high quality service, Coastwide Family Day Care is guided by the National Quality Framework. 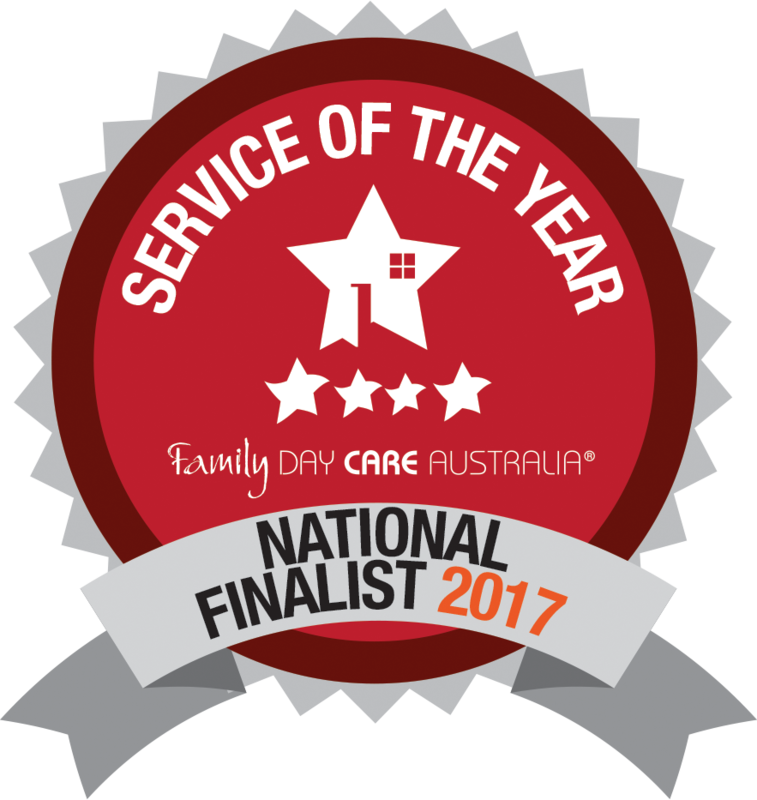 Coastwide Family Day Care has been acknowledged as NSW & ACT Service of the Year and National Finalist , by Family Day Care Australia. To download a copy of our Family Handbook, click here. Coastwide Family Day Care is available standard and non-standard hours; weekdays, weekends, overnight or evenings. Before and after school care is also available. Care is available 24/7 to meet the needs of the changing patterns of today’s workforce. Contact us to discuss your individual requirements. Coastwide Family Day Care is an affordable child care option, which attracts Child Care Subsidy. Child Care Subsidy is assessed by the Department of Human Services. Fees vary depending on the child care environment, services offered and the qualifications of the Educator. How does a Coastwide Family Day Care Educator cater for my child’s developmental needs, interests and strengths? Coastwide Family Day Care Educators provide education and care for children aged 6 weeks to 13 years in a small group setting within a home environment. This home environment is designed to provide opportunities for play based learning, linked to the Early Years Learning Framework. With a maximum of four non-school aged children, Educators can focus on individual interests, strengths and developmental needs. Educators incorporate programming and activities which extend learning and respond to the learning opportunities in everyday life. Play based learning experiences reflect the diversity and unique interests of each child. Children and their families also benefit from the opportunity to build strong and nurturing relationships with their consistent and familiar Educator. The opportunity to build strong relationships in early childhood is acknowledged to promote the development of supportive relationships throughout life. What training do Educators undertake? How does the Coastwide Family Day Care Coordination Unit support children and their families?